Perth&apos;s stunning season continued with a clinical 3-0 win over Wellington in the Distance Derby. Debut goal for Luke Ivanovic and Adam Le Fondre&apos;s 12th goal of the season help Sydney FC defeat Melbourne City. Newcastle Jets&apos; Roy O&apos;Donovan scored a brace as they eased past Western Sydney at the ANZ Stadium. 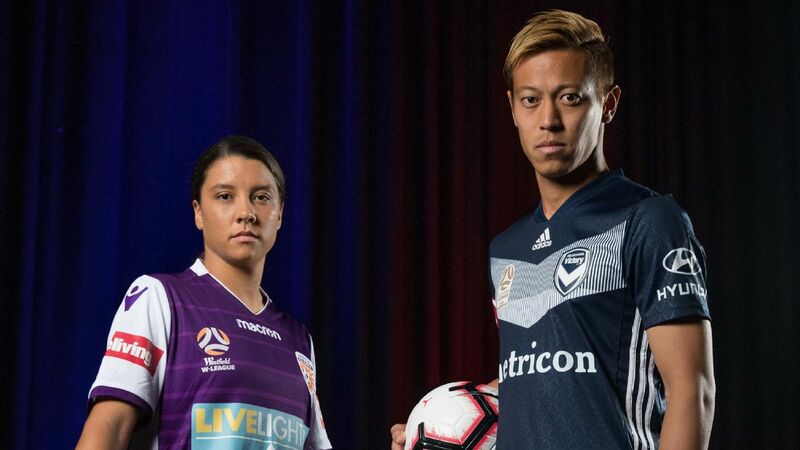 Melbourne Victory want a bumper turnout for their Super Sunday of AAMI Park action to bolster the club&apos;s chances of silverware on two fronts. On paper, it&apos;s one of the most exciting days of domestic football in memory and Victory and the FFA are keen to lure a big crowd. In the afternoon, Victory&apos;s W-League side host a semifinal against Sam Kerr&apos;s Perth, as the Victory women look to back up their premiership with hosting rights in a Grand Final. The 2018-19 A-League season is starting to take shape. Check out where your team sits on the ladder. Head to ESPN&apos;s home of everything A-League, W-League, Socceroos and Matildas!